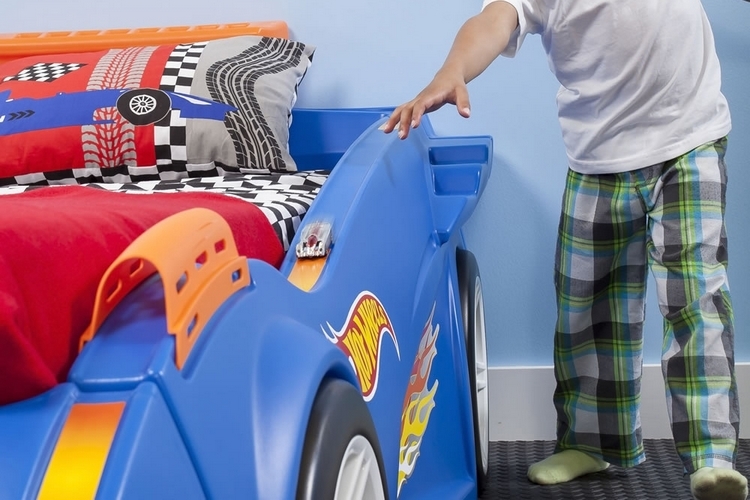 Race car beds are among the greatest bedroom furniture ever made for children. 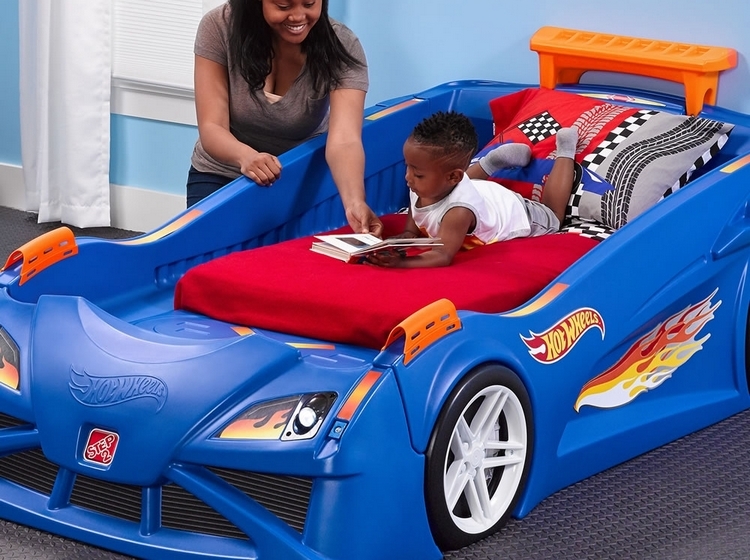 The Hot Wheels Toddler to Twin Race Car Bed, however, takes it to a whole new level, incorporating race tracks on the bed frame that you can use to race your favorite die-cast cars. Made by Step 2, it’s a race car bed that also happens to be a functional race track, so kids can now play with their die-cast rides without bothering to get up from their mattresses. 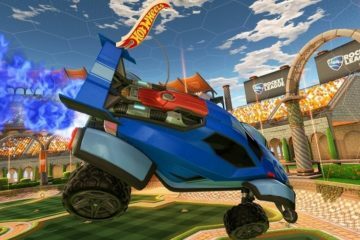 Even better, the built-in track is fully compatible with other Hot Wheels tracks, so you can connect it to an existing stunt track or build a new one that incorporates the bed as part of the race circuit. 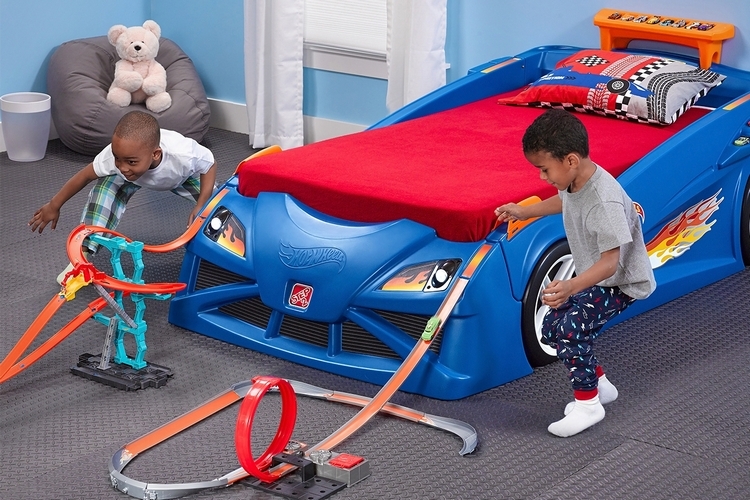 The Hot Wheels Toddler to Twin Race Car Bed has tracks that span the entire rear and side edges of the bed, giving them a reasonably long track to carry out their in-bed racing activities, which you can easily complete into a full circuit by simply adding tracks to link the two sides together. Aside from the tracks, the bed comes with a spoiler that doubles as a display shelf for the cars, air intakes on either side for storing even more cars (or setting down a cup of milk), and a good load of race car details (rims, grille, lowered body, and more). 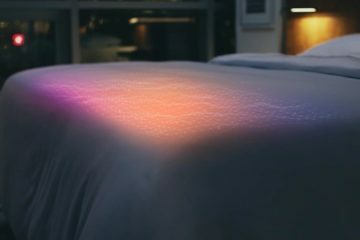 It even comes with working headlights that you can to switch on, so kids can have an instant nightlight right at the foot of the bed. Fits mattresses up to twin size. 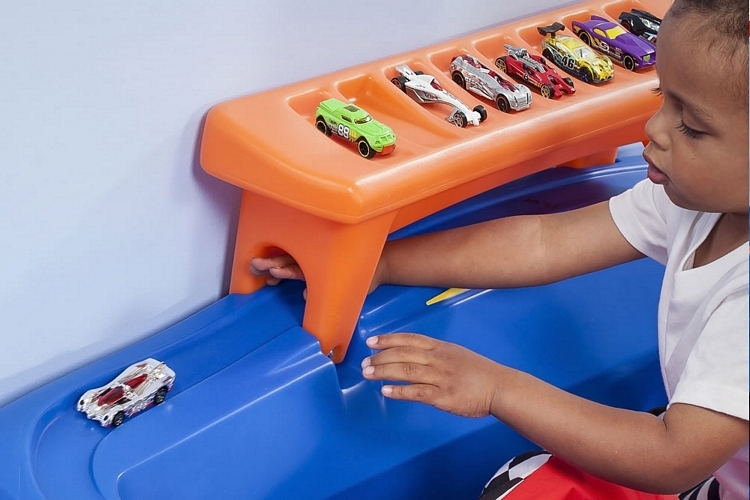 Listed as “coming soon,” the Hot Wheels Toddler to Twin Race Car Bed is priced at $349.99. I have had a race car bed or two. I’ve raised three boys and two girls – Not counting nieces and nephews. I really love this hot wheels bed because of the storage trays for putting the mini cars on. 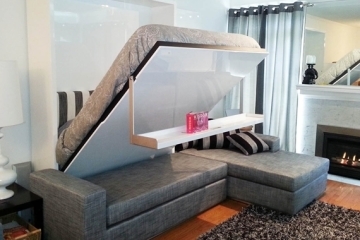 Also, another good feature, of course, is the fact that it can convert to a twin bed later on. I have a question and wonder what others’ opinions are on the placement of the storage tray for the hotwheels cars. See how the tray is up at the head board area of the bed? 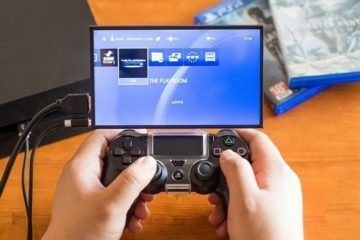 Do you think this would be a distraction to the little tots and prevent them from being able to turn off playtime and turn on sleep time. Karen, I definitely remember the days that being sent to my room was a bad thing, but I agree that type of punishment just doesn’t work anymore. “Here kids, go run along and play with all your toys, secretly play with your DS while no one notices because you can pretend to be asleep underneath your blanket.” Haha. 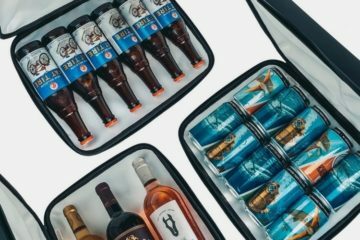 I see what you mean about the storage tray but honestly, by the end of the night I think the kids will be too tired to mess with it. You could always take those cars for the evening and bring them back in the morning after breakfast. 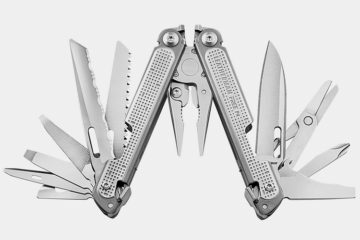 Give the kids something to look forward to. 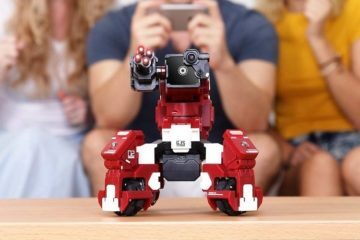 I would have loved one of these growing up! I’ve always been a tomboy. Growing up I was the red Power Ranger for Halloween more than one year, collected Ninja Turtles figures and played with my dad’s Hot Wheels with his (what felt like) endless track. It was so much fun to line those bendable tracks up against the side of the couch and across the kitchen table. They didn’t always stay together but man was it fun to try to make my cars jump and crash. I never had a themed bed, but I’ve always enjoyed the ones my friends had. 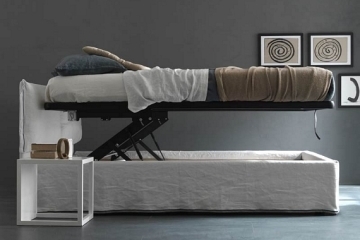 This bed looks so comfortable and spacious. I love how they really brought the bed to life with this model by adding the car storage and tracks on the side. I say, worth every penny! Um where was the Hot Wheels Toddler to Twin Race Car Bed when I was a kid?? This is amazing! I swear kids get the coolest stuff nowadays. I had a whole hot wheels collection and one of those carpet mats to play on. That was it! 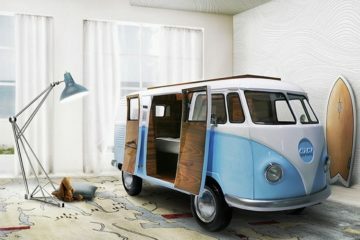 Now there are ramps, garages and even beds! 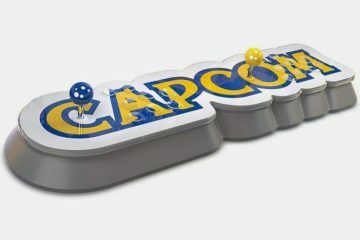 If I had kids I would definitely get this bed for them and hey maybe I can play too haha. I know my husband definitely would be. The only thing I really worry about is wouldn’t this be distracting when it is time for bed? I can see my younger self “sleeping” but magically get up when everyone else is asleep to play with my Hot Wheels bed.